Anyone wanting to gain an insight into Stuttgart and learn more about what's going on here can keep up-to-date with the webcams. Stuttgart City Hall (Rathaus) is located directly on Marktplatz. The weekly market is held here every Tuesday, Thursday and Saturday morning. Stuttgart Marktplatz was first mentioned as the city's civic centre in records that date back to 1290. Our webcam is located on the roof of City Hall. The webcam is updated once per minute. 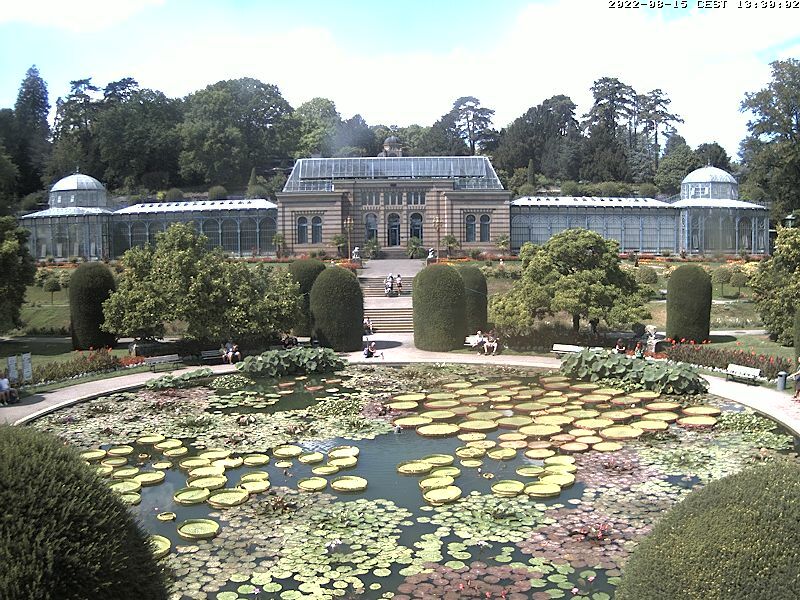 The Wilhelma webcam enables you to look directly into the heart of the Zoo and Botanical Garden: into the Moorish Garden with the magnolia grove, the water lilly pond and the Moorish Villa in the background with the adjoining historic greenhouses. The webcam transmits a new image every ten minutes.